LAND is among the most important assets for people around the world. It is a vital part of cultural and social identities, a valuable asset to stimulate economic growth and a central component to preserving natural resources as well as building societies that are inclusive, resilient and sustainable. All societies have systems to govern property rights, whether they are formally defined by law or informally established through customary systems. Land tenure is the relationship that individuals and groups hold with respect to land and land-based resources and define the ways in which property rights to land are allocated, transferred, used or managed in a particular society. History has shown that when land tenure is secure, land with its agricultural produce are the backbone of society and a cornerstone for stability and economic growth. However, insecurity of land rights leads to instability, the exclusion of vulnerable groups and conflicts. In 1963, growing nationalism and general dissent in the region, particularly in Nyasaland, persuaded Britain to dissolve the Federation of Rhodesia and Nyasaland that had been formed a decade earlier, into three separate entities; still known as Northern, Southern Rhodesia and Nyasaland, until they gained independence. In Southern Rhodesia, meanwhile, the majority of British ancestry continued to enjoy minority rule, which until independence in 1980, Rhodesia was an internally self-governing colony with its own legislature, civil service, armed and police forces. While over one million indigenous families remained in overcrowded communal areas that covered approximately 42 percent of the land in areas of poor agricultural potential, white settler-farmers dominated most marketed crops with little development of small-scale production for the market. This structure, along with the controlled policy environment inherited at independence, played a crucial role in moulding post-independence agricultural sector policies that also focused on equity goals for better distribution of land and a broader participation in marketed production. Food security research in the past showed that even in normal years, about 40 percent of rural households failed to produce adequate food to last throughout the season due to the conditions in many communal areas, characterised by degradation of natural resources due to overcrowding, low productivity and weak agricultural service. In 1980, there were over 6 000 predominantly white, large-scale farmers who controlled about 40 percent of the land, located mainly in areas of highest agricultural potential. By 1988, approximately 4 700 farms in the large-scale commercial sector still controlled 29 percent of the land, mainly in the areas of highest agricultural potential. Under the terms of the Lancaster House Agreement, land could only be acquired on a ‘willing-buyer-willing-seller’ basis for the first 10 years after independence, during which time expectations created during the liberation war were kept alive and there was great pressure for land redistribution. In March 1992, the Land Reform Bill became law. It required commercial farmers on approximately five million hectares of land to sell their land to Government at a ‘fair’ price, to be determined by Government evaluators on which to resettle rural families. This was the first phase of resettlement; its main aim was to ensure that all the people displaced during the war were resettled, even though many did not have the necessary resources for its productive use. Land redistribution re-emerged in 1997, as the main issue for the Government; pressing ahead with the Fast Track Land Reform Programme in 2000. The programme involved the compulsory land acquisition aimed at redistributing land from the minority white population to the majority indigenous population. Land reforms are neither new nor exclusive to Zimbabwe. Early in the 20th Century, Italy experienced a high rate of over-population. 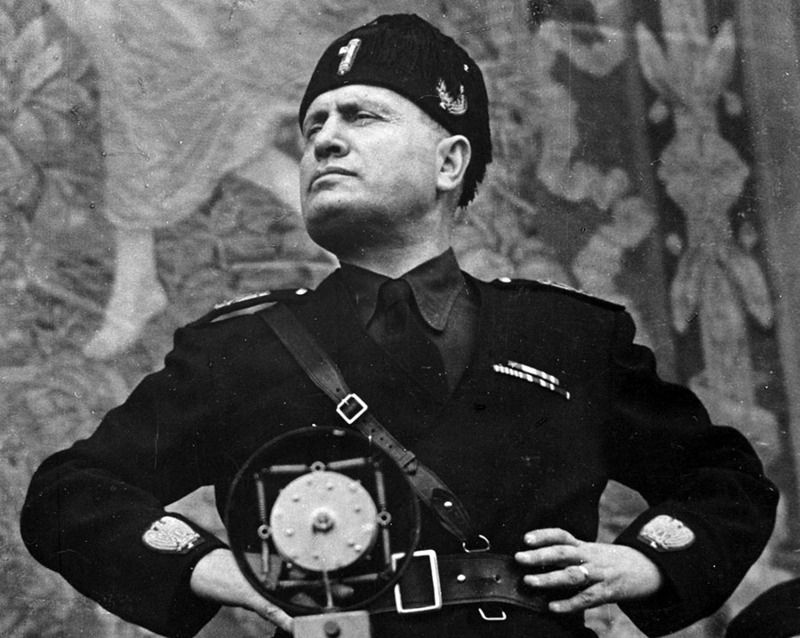 In order to offset economic setbacks and high unemployment levels, Benito Mussolini launched several public construction programmes and government initiatives throughout Italy. His earliest and best known programme was the Battle for Wheat whereby 5 000 new farms and five new agricultural towns were established on land reclaimed by draining the Pontine Marshes. A model agricultural town founded in Sardinia, named ‘Mussolinia’, now renamed ‘Arborea’, was the first of thousands of new agricultural settlements across the country planned by Mussolini. Unfortunately, the Battle for Wheat diverted valuable resources to wheat production away from other more economically viable crops. Landowners grew wheat on unsuitable soil using all the advances of modern science. Although harvested wheat increased, the imposition of high tariffs caused prices to rise, which resulted in the fall of consumption. The tariffs also promoted widespread inefficiencies and the government subsidies given to farmers pushed the country further into debt. Mussolini also initiated the Battle for Land; a policy based on land reclamation as outlined in 1928. The initiative had a mixed success. While projects such as the draining of the Pontine Marsh in 1935 for agricultural purposes were good from a propaganda point of view and provided work for the unemployed and allowed for great land owners to control subsidies, other areas in the Battle for Land were not very successful. The Battle for Land programme was inconsistent with the Battle for Wheat since the small plots of land allocated were inappropriate for large-scale wheat production. During the Second World War, the Pontine Marsh was lost. Fewer than 10 000 peasants were resettled on the redistributed land and poverty among the peasants remained high. In 1940, the Battle for Land initiative in Italy was abandoned. In Zimbabwe, land and its redistribution was at the heart of the first liberation struggle of 1896–1897 and the second liberation struggle which gave birth to the independent Zimbabwe in 1980. This initiative continues successfully to this day. Dr Michelina Rudo Andreucci is a Zimbabwean-Italian researcher, industrial design consultant lecturer and specialist hospitality interior decorator. She is a published author in her field.For views and comments, email: linamanucci@gmail.com. Next articleEnergy drinks: The silent killer!